Over 100 years ago, 15 Atlanta women met to discuss problems facing Georgia girls who needed financial help to continue their education. These Student Aid Foundation founders were Mrs. E.L. Connally, Mrs. James Jackson, Mrs. Bolling Jones, Mrs. Sam D. Jones, Mrs. M.A. Lipscomb, Mrs. E.G. McCabe, Mrs. Emma Garrett Morris, Mrs. John K. Ottley, Mrs. Robert E. Park, Mrs. W. P. Patillo, Mrs. H.B. Wey, Mrs. High Willett, Mrs. David Woodward, Mrs. Frank Woodruff and Mrs. Robert Zahner. Each of these 15 women pledged $10 and agreed to recruit others interested in giving and supporting women with their educational aspirations. Since many of the founders were active in the Atlanta Women's Club, it was suggested that this financial assistance initiative become an educational project of Georgia's Federation of Women's Clubs. This project became the Student Aid Foundation (SAF). In 1908, the Foundation established a Student Aid Loan Committee that granted its first loan of $35 in the same year. As the Loan Committee realized greater working capital was needed to meet growing demand, in 1913 they secured a charter and incorporated as the Student Aid Foundation with its own self-perpetuating Board of Trustees. 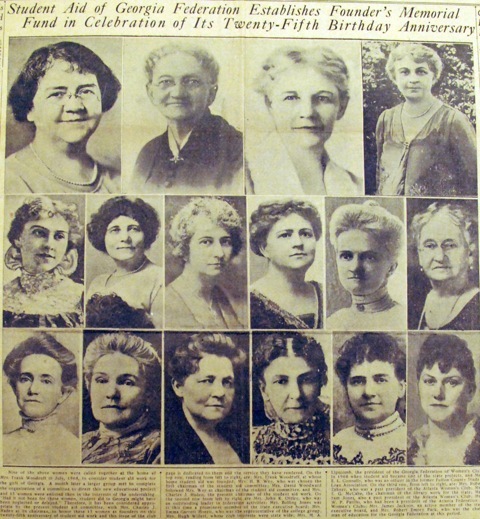 By 1950, the official relationship between the Georgia Federation of Women's Clubs and the Student Aid Foundation was discontinued. Today, the Student Aid Foundation is proud to have Loan Committee members who are fifth generation descendants of either founders or at-large community members. The Student Aid Foundation offers a self-perpetuating model that enables each borrower to give back. Every loan granted provides future funds for upcoming loan applicants as it is repaid to the organization. 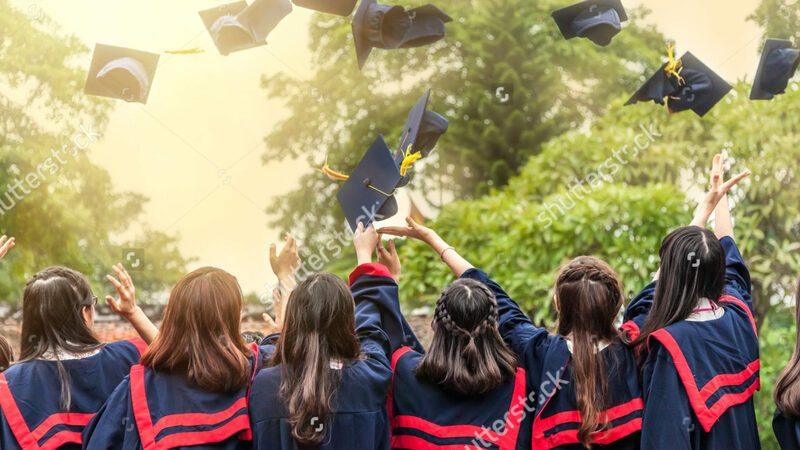 The Student Aid Foundation is a non-profit, private foundation with over a 100 years history of helping women achieve their educational goals to pave the way for a bright future. By 1923, the Student Aid Foundation had helped 251 girls from 145 towns in Georgia. By 1933, 501 loans had been made totaling nearly $89,000. By 1958, 1,286 loans amounting to more than $350,000 had been granted. Today, the Student Aid Foundation continues to assist approximately 40+ women each year with their post-secondary schooling cost. Since inception, we have helped approximately 3,000 female students achieve their higher education goals by filling the tuition gap with a low interest loan. The Student Aid Foundation offers a self-perpetuating model that enables each borrower to give back. Every loan granted provides future funds for upcoming loan applicants as it is repaid to the organization.